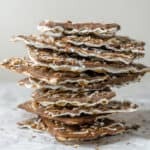 Make this totally addicting Toasted Coconut Chocolate Matza with all the leftover Matza from Passover! Matza, Matzah, Matzo, Matzoh…. however you prefer to spell it, let’s face it, Matza is not the best tasting food out there. It’s bland. There is no other way to describe it. Matza’s only redeeming quality is that it has a nice crunch. I always have leftover matza from Passover and usually don’t even finish it even by next year’s Passover. That’s absurd, right? So this year I have a plan to use up my matza before it turns stale and gets even more blah. The plan involves guacamole and chocolate. Not together, don’t worry. I plan on making snacks of matza topped with guacamole since the salty zesty guacamole would go great with the bland matza crackers. But chocolate is clearly the better way to use up leftover matza. 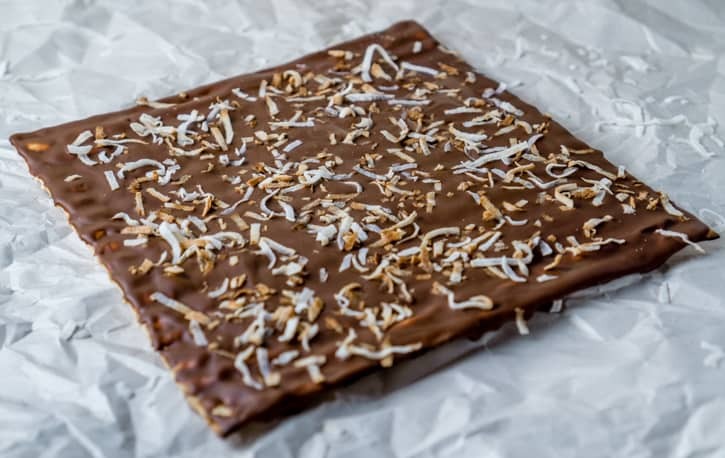 That’s where this Toasted Coconut Chocolate Matza recipe comes in. 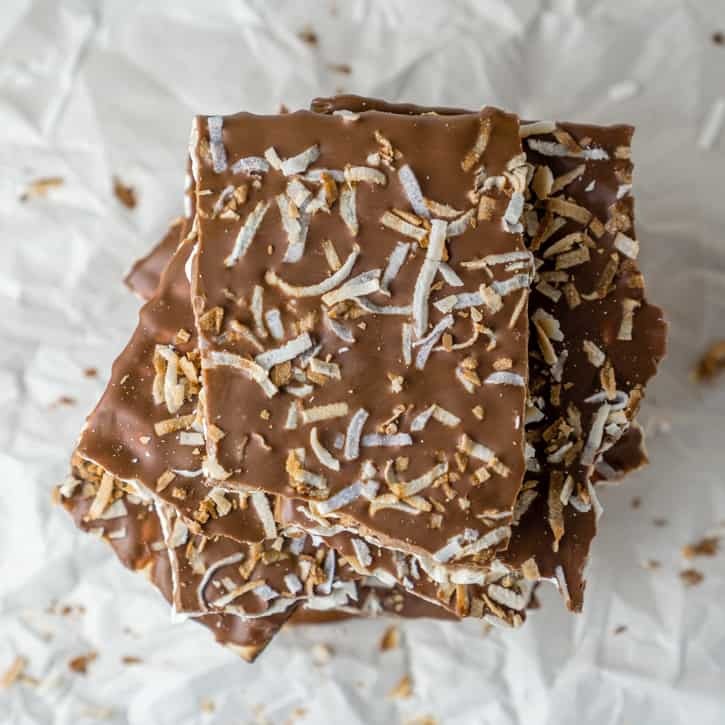 Rich chocolate poured over crunchy matza crackers, topped with crispy, sweet, toasted coconut flakes. 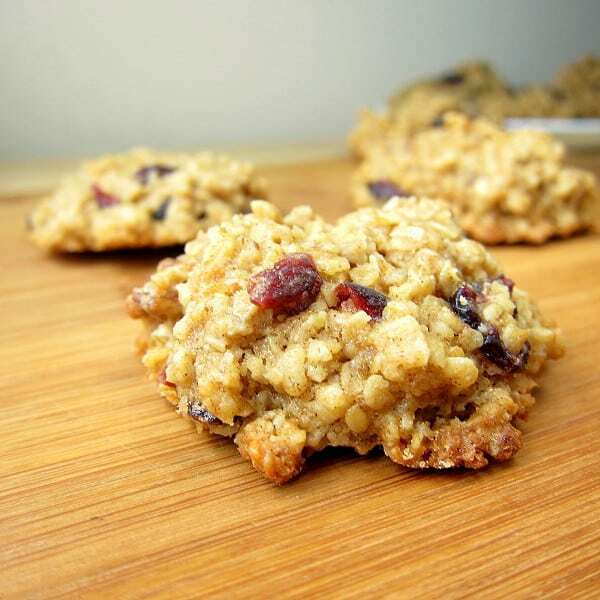 Super easy, and super delicious. It’s no wonder this is often called Matza Crack. It is absolutely addicting! 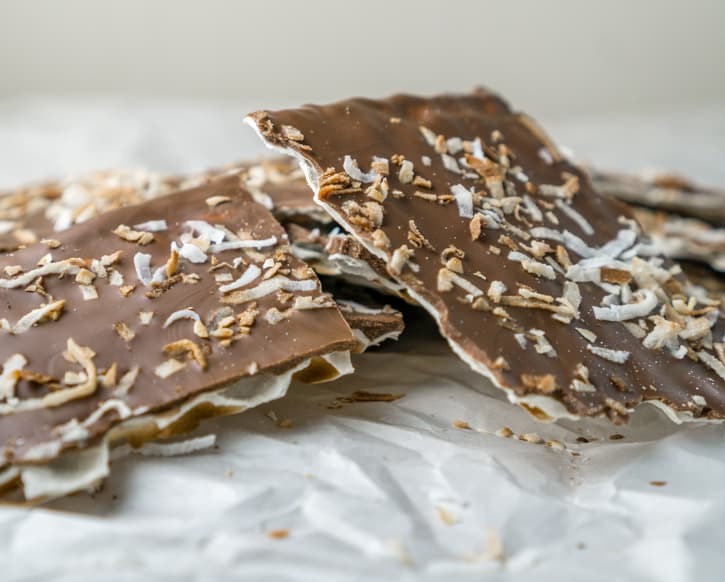 You really need to try this Toasted Coconut Chocolate Matza dessert. 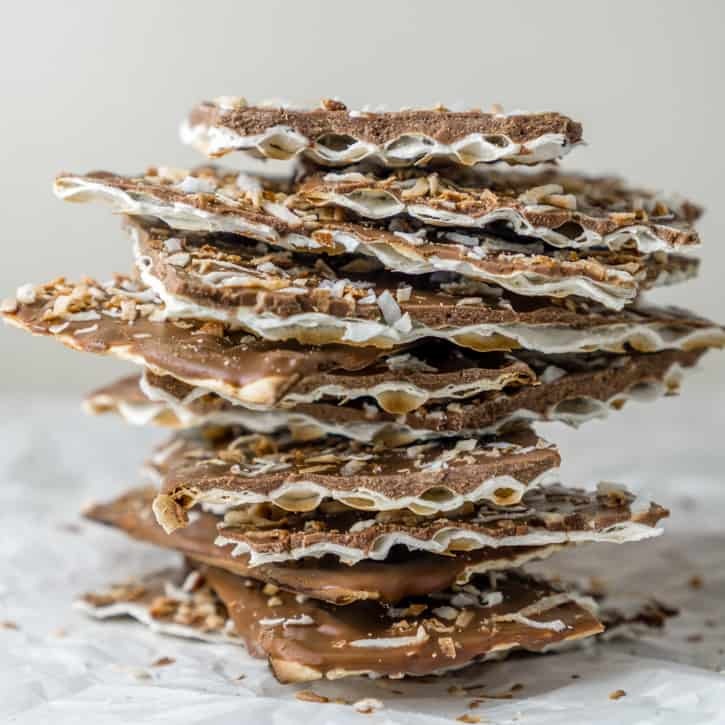 The bonus part is that even if you’re not Jewish and you do not have matza laying around, you can pick some up on sale after Passover and make this amazing treat! Use a microwave or a double boiler to melt the chocolate. Arrange the matza on a large cutting board or over parchment paper. 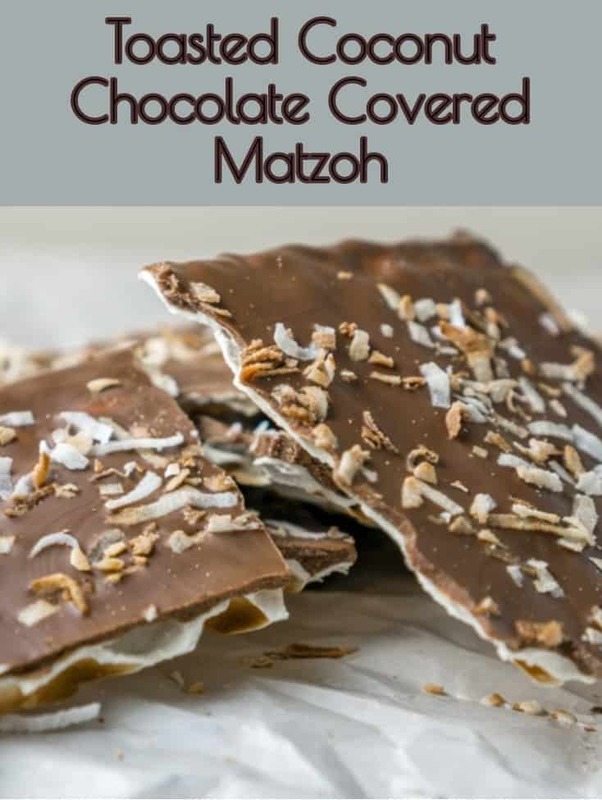 Drizzle the chocolate evenly between the 3 matzas, and use a spoon to spread the melted chocolate evenly over the matza. 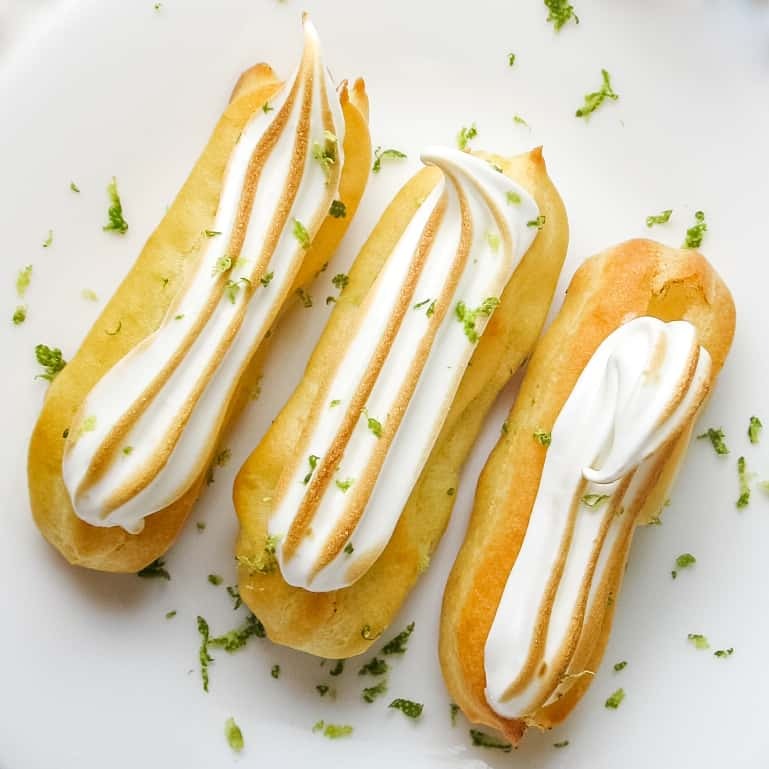 Toast the coconut flakes in a non-stick pan over medium heat for 30-60 seconds, or until golden brown. Sprinkle the toasted coconut flakes over the matzas. Place in the fridge to cool for about an hour, or until the chocolate is set. Break each matza into thirds along the ridges, then break each third in half. Yes! The combination of chocolate and Matza does look good. I remember my husband’s grandmother serving us Matza balls in soup- rather bland. I’d rather ‘nosh’ your version!